30:20– Selections from our Sunday Morning Worship Service at The Unitarian Universalist Congregation at Montclair by Rev. Scott Sammler-Michael. 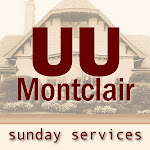 For more information about The Unitarian Universalist Congregation at Montclair, please visit us at uumontclair.org.